he mighty Mekong, the “Mother of Waters”, is the lifeblood of Southeast Asia, now threatened by massive hydroelectric projects. 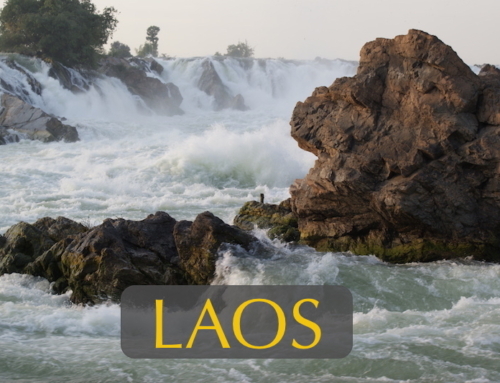 Southern Laos provides one of the best places to see this legendary river in its still wild state. Students will learn of the tremendous biological diversity of this waterway (second only to the Amazon), as well as the role the river has played in human development. 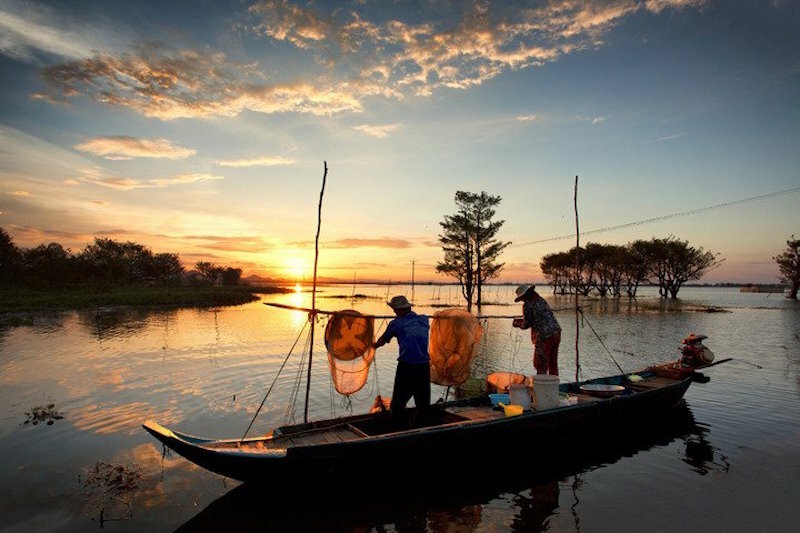 From prehistoric cliff paintings to the oldest Khmer temples along its shores, the Mekong reveals its mysteries in never to be forgotten lessons. Students arrive in Ubon Ratchatthani, Thailand by overnight (sleeper car) train from Bangkok or aboard the first flight from Bangkok. 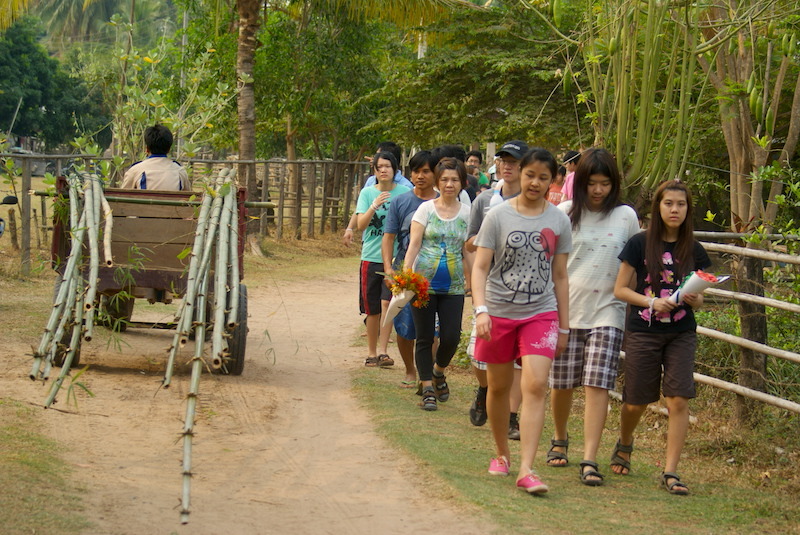 Following pick up, we bus to a tributary of the Mekong River for a picnic breakfast and group orientation. Following breakfast, we set off by bus for beautiful “Moonlight Waterfall” where a stream cascades through a round opening of a limestone ledge and pours through like a moonlit shower. After we frolic under the falls, we’ll explore the macro-invertebrate life of the creek bed. Next we drive to Ban Chiang, an ancient town along the Mekong River trade routes. Here we will enjoy a delicious lunch at a riverside restaurant and have time to shop for local handicrafts at the many stalls set along the river bank. 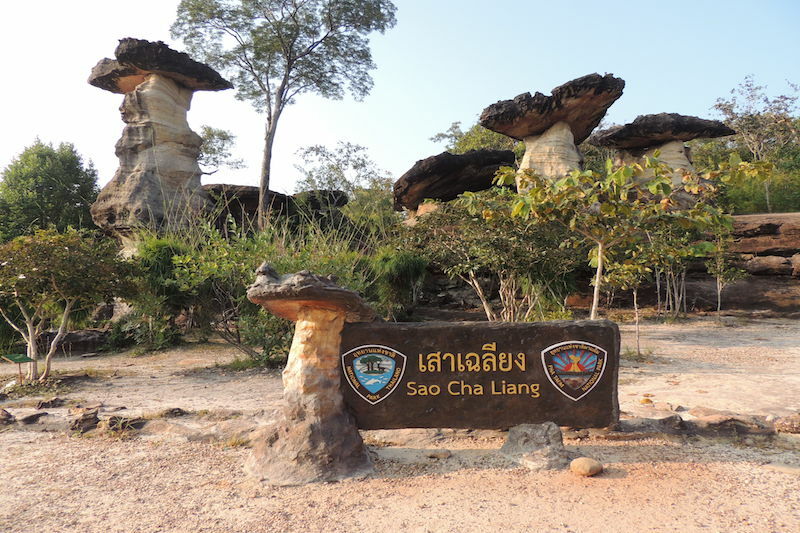 Our final destination for the day is Pha Taem National Park – an area designated a UNESCO World Heritage Site. Here, a trail leads along a high cliff embankment of the Mekong that is adorned in hundreds of red ochre paintings depicting fish traps, giant Mekong catfish, human figures, hands and much more. 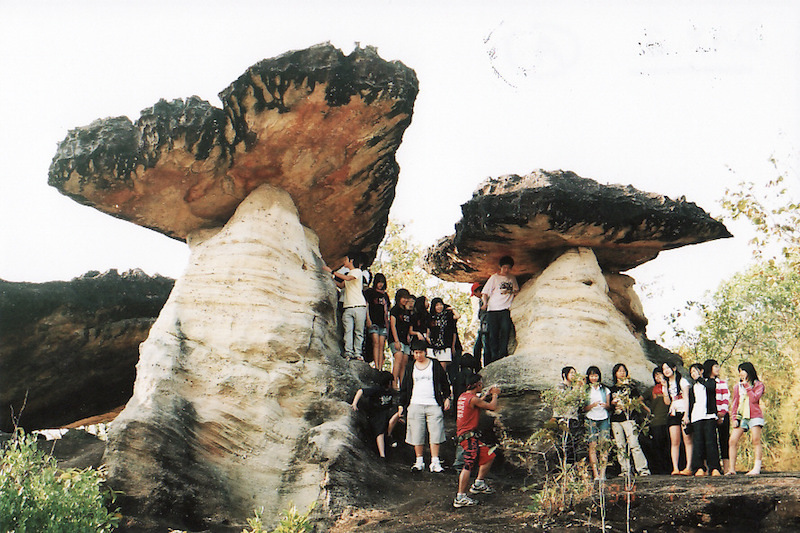 It is the most extensive display of pictographs (rock paintings) in the world! 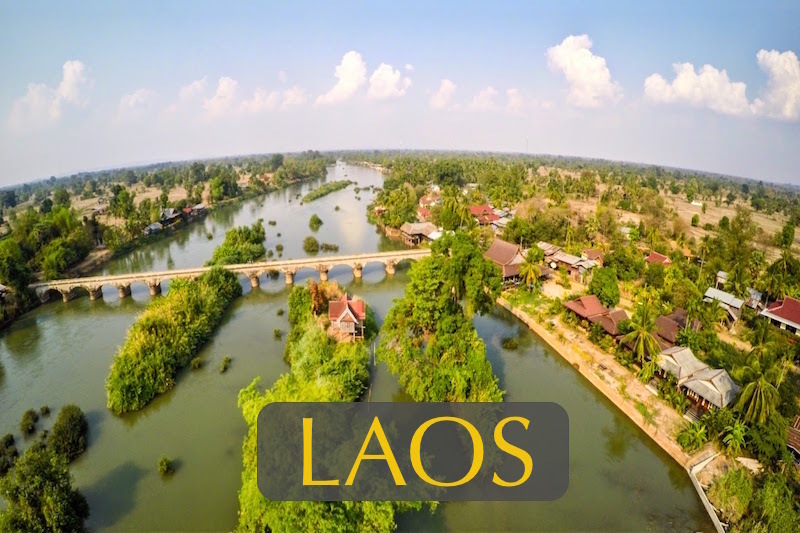 Pha Taem National Park has lovely lodges overlooking the massive Mekong River where we will share in a traditional Isaan meal with music and dancing on a patio under the stars. Later we will take advantage of this remote location (no city lights) to study the wonders of the night sky. The earliest sunrise in Thailand happens just outside our lodge doors – a sight not to be missed as the sun rising over Laos, on the far bank of the Mekong, seems to set the river on fire. Following a big buffet breakfast, we climb aboard our bus for the short drive to the Thai/Lao Border. Clearing Customs & Immigration, we board a different bus for the short drive to the southern Laos city of Pakse. 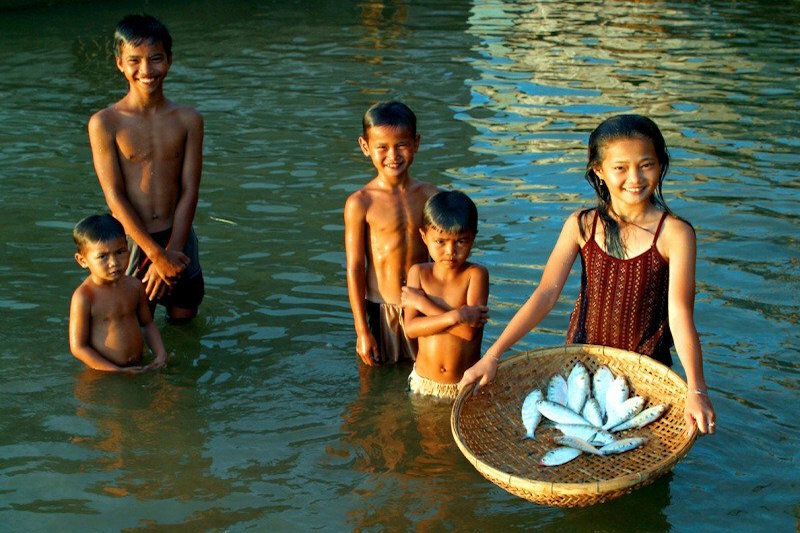 Here we board boats for a delightful picnic cruise down the Mekong River. As we cruise Asia’s ‘Mother of Waters’, students will learn that only the Amazon boasts a greater biodiversity. 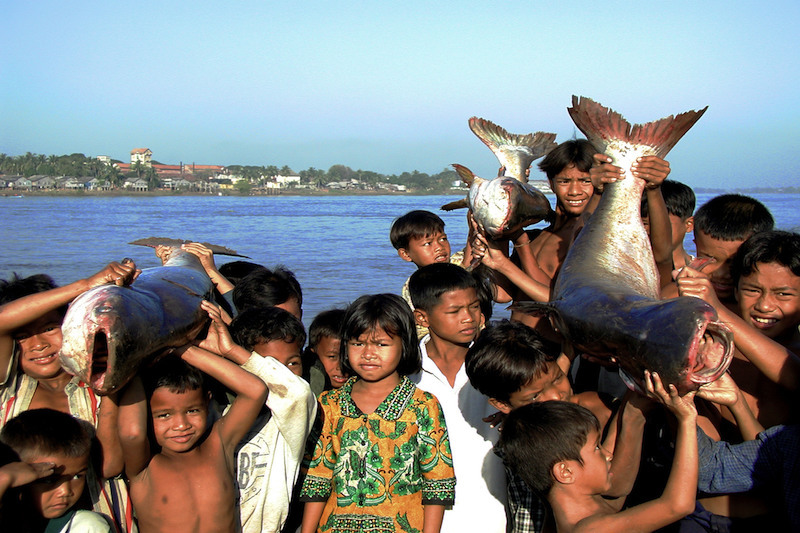 Below us lurk the world’s largest fresh water fish – the giant Mekong catfish, and other amazing creatures. By late afternoon we arrive at Don Daeng, a beautiful island in the Mekong where we will enjoy a village home stay for a night as part of a community eco-tourism initiative. We will visit the village school and be formally welcomed by the elders with a ‘Basi’ ceremony after enjoying a traditional Lao dinner. A huge sandy beach, fronting the village, invites everyone to a bonfire to share songs, fun and laughter late into the night. Everyone’s up early for stretches on the beach before breakfast. Bidding farewell to our new Don Daeng friends, we ferry across the Mekong to visit another UNESCO World Heritage Site. The pre-Ankorian ruins of Champasak are magical in the early light of day. This ancient Hindu temple along the Mekong was converted to a Khmer temple in early dawn of Buddhism. It offers students a fascinating glimpse into an almost mythical age. Following a delicious lunch at a riverside restaurant, we depart Champasak and travel further south to the widest part of the Mekong River above the delta. Here the river reaches an astonishing 14 km in width and has thousands of islands. A launch will transport us through this watery maze out to one very special island – Don Khone, our home for two nights. We will check in to charming riverside bungalows beside the river and set off by bicycle to explore an island that is idyllic in every way. Only bicycle paths crisscross Don Khone, but there’s so much to see: village temples, rice fields, and fishermen setting traps beside huge cataracts. There is even an old steam train from the French colonial era. Today’s the most exciting day of all as we set off after breakfast to canoe and raft our way down the Mekong. Following a thorough safety briefing and getting properly outfitted, we go the way of the river. Students will learn first hand the dynamics of river hydrology as they run light rapids, discover back eddies and negotiate the main flow through flooded forest areas and countless islands and sandbars. A picnic lunch will be served on a beautiful sandy beach mid way along our journey. As we leave the rapids behind, we come upon some quiet pools in the river and one of the world’s best locations to view Irrawaddy dolphins in the wild – always a thrilling sight! 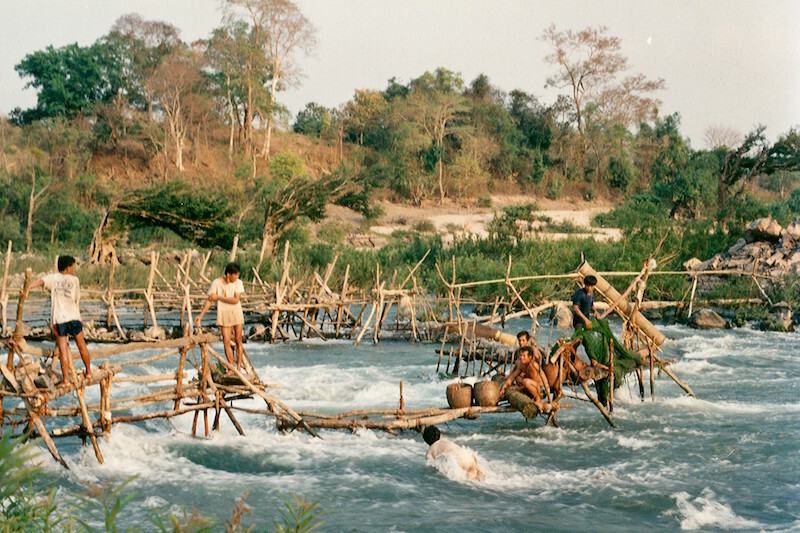 Our canoe and rafting adventure ends right on the border of Laos and Cambodia. 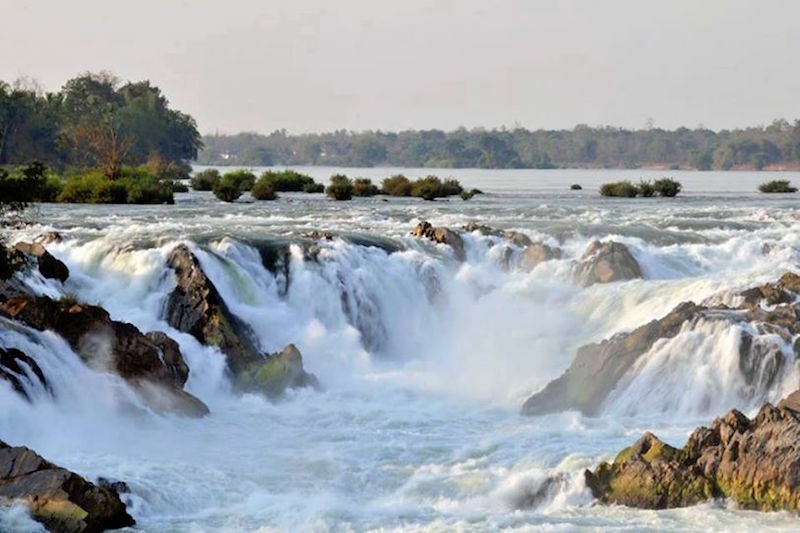 Here we are picked up by vehicle and transported to see the “Niagara of Asia” – the largest flow of water on the continent as the Mekong plunges over a huge escarpment. It’s a spectacular sight that humbles everyone.